Praha: Svoboda Servis, Spring 2005. 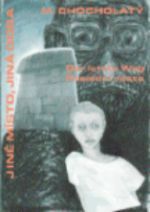 Second and third part of a trilogy in one book. The third part shows a five weeks period of Eberl´s reign in Treblinka. We finally learn what stood behind a meeting of Peter from the first part and psychiatrist Lapicky. In his former life Lapicky was Irmfried Eberl, and he met with Peter's former life person - it was a gravedigger in Treblinka... This meeting shows why they met each other after 51 years at another time and at an another place! 640 Pages, in Czech. The book includes 23 pages of photos, corespondence and pictures. True story of the pharmacist Capesius who served as SS man in Auschwitz. A complex collage of documentation, flashback, and story. 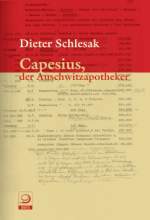 Eine wahre Geschichte über den Apotheker Capesius, der als SS-Mann in Auschwitz diente. Eine komplexe Collage aus Dokumentation, Rückblende und Erzählung. Bonn: Dietz Verlag, October 2006. 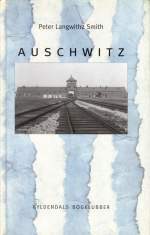 Standard work, covering the Auschwitz "Stammlager" and Auschwitz-Birkenau. Many photos, maps. 8 pages literary list, 14 pages chronology.